There are plenty of reasons why people file for bankruptcy, but in every case the filer’s credit suffers a huge blow, making it difficult to finance big purchases. On the bright side, finding a creditor to issue a loan for a vehicle is not impossible, and in some cases it might be easier than you’d expect. Whatever your bankruptcy situation, it can be a long road to recovery to repair the damage your credit incurs; and, depending on the filing (whether it’s Chapter 7 or Chapter 13), there is a lot of information regarding the legalities of each. Knowing your rights for each case is key to both avoiding more damage to your credit, and to getting the best deal you can when buying a car. Bankruptcy laws vary from state to state, and it’s very important to know what the laws are within the state you file. That said, understanding the full scope of your financial situation is important, so you can purchase the right vehicle for you under the best circumstances your situation can offer. 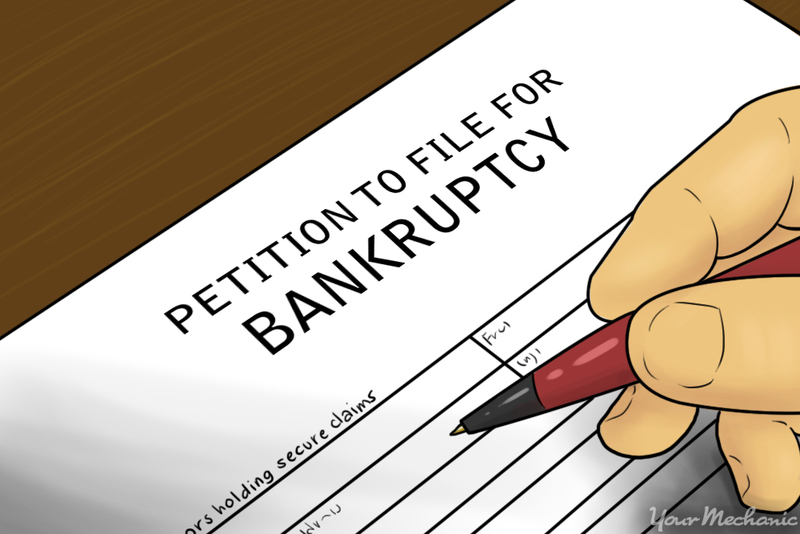 Step 1: Determine the type of bankruptcy you have filed for, and your obligations. Don’t take any steps towards buying a car until you know what type of bankruptcy you have filed for and you understand your obligations to the creditor, so you can consider your best options before you make a purchase. Tip: You might want to consult with a credit specialist or financial planner to help you better understand your financial and credit situation at the beginning of your bankruptcy, and to help with future planning and goal-setting. Step 2: Know your rights under your state’s Chapter 7 or Chapter 13 bankruptcy laws. The major deciding factor for what chapter of bankruptcy you file under is determined by your income level. Your situation also varies based on what you owe to creditors and what type and how many assets you have. In most cases regarding Chapter 7 bankruptcy, all your nonexempt assets will be liquidated to help pay your outstanding debt. Nonexempt assets include non-essential items you have that might be worth something, including expensive jewelry and clothes, musical instruments, appliances, expendable cash, and any additional vehicles other than the one the creditors determine you need. Under Chapter 7 or 13, if you have a reasonable vehicle you will most likely be able to keep it. But under Chapter 7, if you have a luxury vehicle you might be made to sell it, buy a cheaper vehicle, and use the leftover money to pay off debts. Step 3: Work on improving your credit. Take steps to rebuild your credit by obtaining one or two secured credit cards. Keep your balances below the credit line, and always make your payments promptly. Your credit will be damaged for an extended amount of time under any chapter of bankruptcy, and sometimes it takes up to ten years to fully recover. However, you can reestablish your ability to finance some purchases after a certain amount of time, sometimes within a few months under Chapter 7, and usually within a few years under Chapter 13. Tip: Consider setting up automatic payments for the secured cards, if your credit card company allows it, so you don’t accidentally miss a payment deadline. Step 1: Determine whether you really need a car. Your bankruptcy situation will require you to make a lot of tough financial decisions along the way, and reevaluating your interpretation of “need” and “want” might be a significant and important task. If you live in an area where public transportation is a reasonable option, or if you have people you are able to carpool with, it may not be worth acquiring the new debt of a car while you are under bankruptcy. Step 2: Obtain a bankruptcy discharge, if you can. If you do decide that you need to buy a car, wait until after you obtain a bankruptcy discharge. Chapter 7 bankruptcies are usually discharged within a few months, at which point you will probably be able to secure a car loan. Under Chapter 13, it might take years before you receive a bankruptcy discharge. 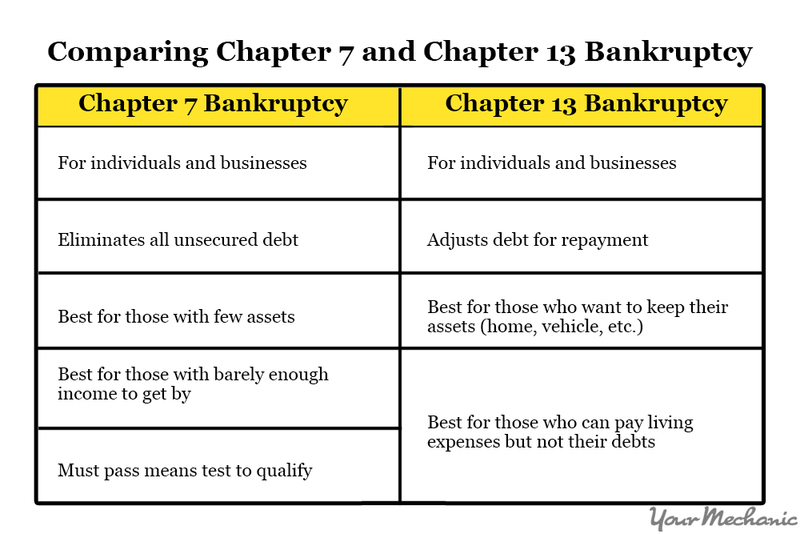 This might seem daunting, but you are able to acquire new debt under Chapter 13 bankruptcy. Always speak with your trustee regarding your purchasing plans, because the trustee may have to approve your plans with the court and receive the necessary paperwork to obtain a loan before you move forward. Step 3: Fully consider the finance charges involved in buying a car. If you are able to acquire new debt under bankruptcy, your interest rates could be as high as 20%. Be absolutely sure you can afford the car you decide to finance. Tip: If you can wait a few years to take on new debt, it might be your best option. You will be met with better repayment terms as your credit improves. These lenders will promise you anything for a 20% interest rate, and sometimes they partner up with ‘preferred’ dealers, who might sell shoddy cars at high prices. Instead, consult with bad credit lenders that are offered through reputable dealerships in your area. Always beware of the quality of any car you’re buying, and be ready to pay high interest rates. Step 4: Shop around for low prices. Conduct as much research as you can about the best used cars for the lowest prices. Sometimes the best cars aren’t the most beautiful, so don’t worry too much about the aesthetics. Consider the most reliable cars that have great reviews and have a decent price tag. You may want to try researching used cars on trustworthy websites like Edmunds.com and Consumer Reports. Warning: If you are granted a loan, prepare to make a large down payment and have very high interest rates approaching 20%. While you’re searching for the right vehicle, you might want to use that time to start saving up for a down payment. 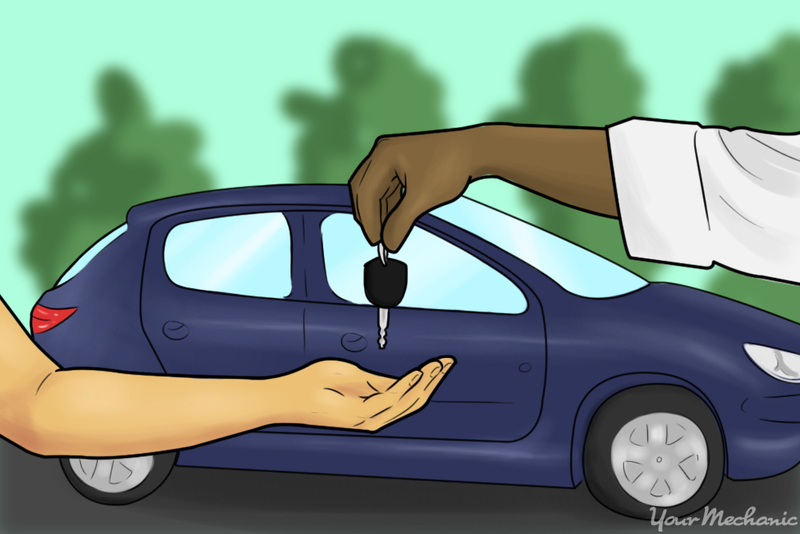 Step 5: Purchase a car with cash, if possible. If you are somehow able to protect some cash from being seized after filing for bankruptcy, consider buying a car with cash. Your bank accounts will most likely be liquidated entirely, but laws vary from state to state, as do the terms of your bankruptcy. Rules for asset liquidation are stricter under Chapter 7 than they are under Chapter 13. In any case, you will need to find a reasonably-priced used vehicle that is in good working condition, with relatively low mileage. Remember, if you have any vehicle deemed “luxurious,” the court might force you to sell it to pay off debts. Tip: If you haven’t filed for bankruptcy yet, consider purchasing a car with cash before you file for bankruptcy. But even in this case, you must buy a reasonably priced vehicle. Step 6: Make sure your credit report is free of repossessions. Clean up any repossessions you have on your record before consulting with a lender, if you have any. In a lot of cases, lenders care a lot more about repossessions than they do about bankruptcy. A repossession says to them that a person either could not, or chose not to make their payments. Conversely, people who file for bankruptcy most likely made their payments on time, but were hit by a devastating financial blow that forced them into their situation. A repossession is relatively easy to get off your credit report because of the amount of paperwork and proof that is required for it to remain on the report. If it can’t be verified completely, then, legally, it must be deleted. If you formally challenge a repossession entry, you have a good chance of it being deleted from your credit report because the company that ordered the repossession might not respond to the creditor’s request for verification, or they might not have all the paperwork. Either way, you win. Step 7: Keep your driving record clean. Most lenders will do a full sweep of your documented history, since you’re more of a risk than other borrowers. For this, they will pull your driving records to help them make a decision as to whether or not they should lend to you. If they’re undecided, your driving record might help them decide for sure. If you have a good driving record, there is a good chance your loan will go through since the vehicle is security for the loan. If you have points on your record, see if you qualify to attend driving school to have them removed. Step 8: Begin your search for the best lender your situation can offer. Look online, in local advertisements, and ask your friends and family. You will have many choices for dealers (the key word here is ‘dealers’, not the ‘bad credit lenders’ advertisements you received in the mail the day after you received your discharge) who specialize in financing bad credit and bankruptcies. Be very clear and honest about the terms of your bankruptcy, as some cases will make them more likely to go through with an approval. Tip: It might be a good idea to start with lending institutions you’ve dealt with in the past and where you’ve had a good track record. Sometimes having a cosigner (family or friend) can make the process easier, but it also makes that person legally responsible for your debt in the event you cannot pay. Step 9: Look for rebates from auto manufacturers. The best rebates are not heavily advertised; but if you call a dealership and ask what the best available rebates are, they should be happy to help. You might want to use the rebate to supplement whatever money you’ve saved for the down payment, because a higher down payment does two things: it makes you seem less risky to the lender, and it can lower your monthly payments. Tip: The best time to look for rebates is the end of the model year (September-November), when manufacturers and dealers are looking to move older models to make room for new ones. Whatever your bankruptcy situation, it might not be as futile as you might initially think. Always try to stay as positive as you can about it. There are avenues you can take to buy a car, get your credit back on track, and to improve your financial situation for the long term. Diligence and patience is key, as is being as informed as possible about your personal bankruptcy situation, so that you can take necessary and positive steps forward. Q: I live in Dubai. I would like to know if a 2009 Mazda CX-9 is easier to maintain compared to a 2009 Ford Explorer. Q: What is the best first car for me ? Q: is it worth fixing the timing belt and timing pulleys?